Uniportal VATS represents an excellent compromise to medical thoracoscopy and three ports VATS and we believe it brings the best of both worlds. It can be easily performed under spontaneous ventilation, much like medical thoracoscopy, but offers the same wide range of therapeutic possibilities as three ports VATS. 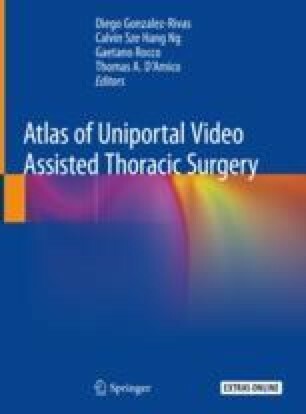 In fact, in our experience, uniportal VATS is ideal in debriding complex pleural spaces due to the increased visibility afforded by the direct view; the thoracoscope and the instruments are in the same viewing plane allowing easier division of complex adhesions.